What’s in Singapore’s New Anti-Fake News Bill? The measure has put the spotlight on the country’s efforts to counter the growing challenge amid lingering concerns. Earlier this week, Singapore tabled a new anti-fake news bill that the country has been deliberating on for several months. 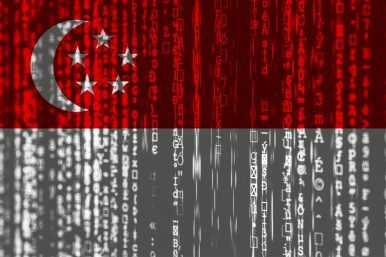 The bill represents part of Singapore’s ongoing effort to address this challenge despite some lingering concerns the government continues to face about its approach. As I have noted previously in these pages, in the wake of concerns over fake news, Singapore has been among the governments taking actions to address this issue through a combination of ways, including promoting public awareness, increasing its cyber security, and collaborating with other governments also confronting aspects of this challenge including managing social media networks. Officials have cited various reasons for Singapore’s particular vulnerability to this challenge, including its high Internet penetration which enables the propagation of falsehoods; its racial, religious and linguistic diversity which created fault lines that could easily exploited; and the country’s attractiveness as a key economic hub and strategic player in Southeast Asia which made it an important target to influence and undermine. One of those measures has been the introduction of a new anti-fake news bill. The government has long been suggesting that some sort of bill was in the works, and that it would likely take shape following several other steps taken, including the convening of a Select Committee on Deliberate Online Falsehoods to display a willingness to receive input from wider society. On April 1, Singapore took another step in this direction with the tabling of a new anti-fake news bill. The so-called Protection from Online Falsehoods and Manipulation Bill was tabled for first reading in the country’s parliament, as officials including Prime Minister Lee Hsien Loong had previously indicated. The bill attempts to address some of the concerns that have been expressed, including about how the government would define what constitutes harmful falsehoods. It also lays out the process by which concerns will be addressed, including taking down content deemed to be in violation of the law and punishments for offenders. Unsurprisingly, the tabling of the legislation has not led to the ending of lingering concerns around the government’s approach, including potential effects on free speech and the regulation of technology firms, with officials including Law Minister K Shanmugam and Senior Minister of State for Law Edwin Tong attempting to address some aspects of them this week. And beyond just this single bill, given both the ongoing state of government policy in Singapore as well as the broader global conversation on the various approaches to address fake news, the city-state’s response to this will continue to be interesting to watch as countries continue to try to manage both the opportunities and challenges in this realm. What Lies Ahead for Vietnam’s New Cyber Law in 2019? The coming into effect of the controversial legislation once again placed scrutiny on the government’s efforts in the cyber realm.